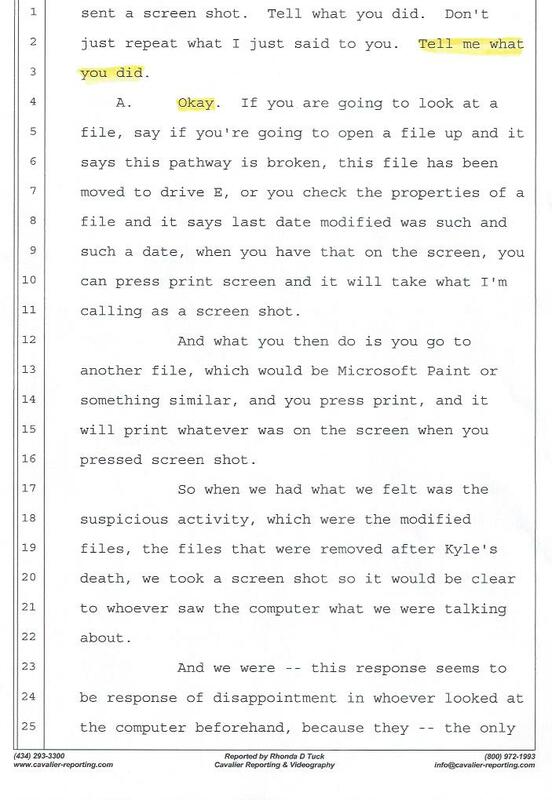 Amazingly, Kyle Brennan’s computer was accessed within but a few hours of his death—in the early morning hours of Saturday, February 17, 2007. Who would do this? What was the purpose? Any reasonable person would refer to this fact—this act—as very suspicious. 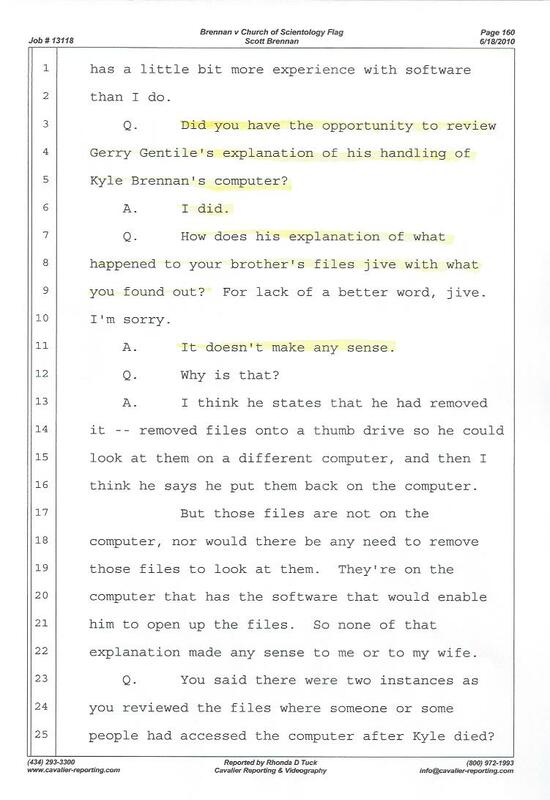 Even more suspiciously, Kyle’s PC was not removed from the crime scene by the police as evidence but was taken instead to the home of Gerald and Denise Miscavige Gentile (two of the defendants in the wrongful-death lawsuit that ensued). And, of course—just like everything in this tangled story—there are multiple versions of how, and by whom, the computer was handed over to these powerful Scientologists. Over the course of the next 16 months, Kyle’s PC traveled a circuitous route. Tom Brennan got the computer back from the Gentiles and mailed it, along with several boxes of Kyle’s possessions, to Kyle’s family in Virginia in the final days of February 2007. 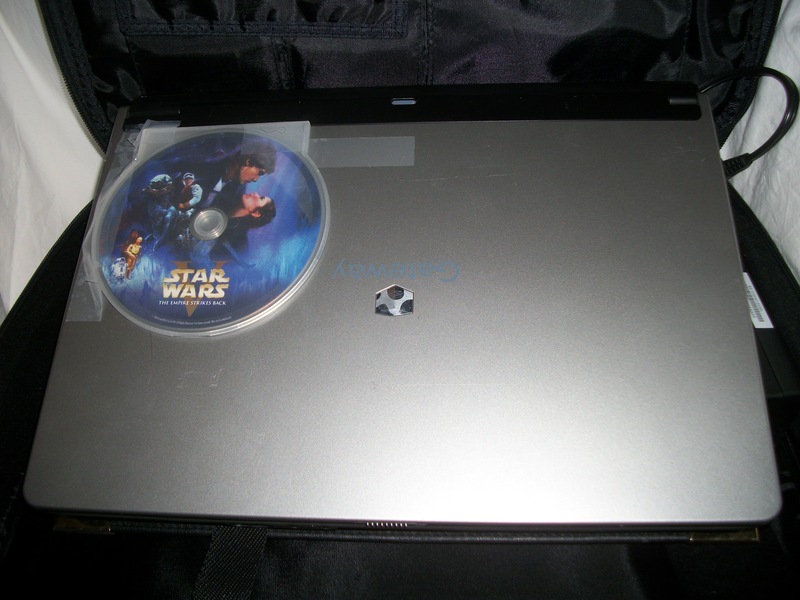 Under the advisement of Attorney Luke Lirot, legal representative for the estate of Kyle Brennan, the computer was next shipped back to Florida, to the Clearwater Police Department. It arrived on September 13 of that year. According to Detective Bohling, it was delivered to the Tampa office of the Florida Department of Law Enforcement (FDLE) on the very same day. Sometime over the following 41 days, FDLE Special Agent Barbara Mendez analyzed Kyle’s computer. 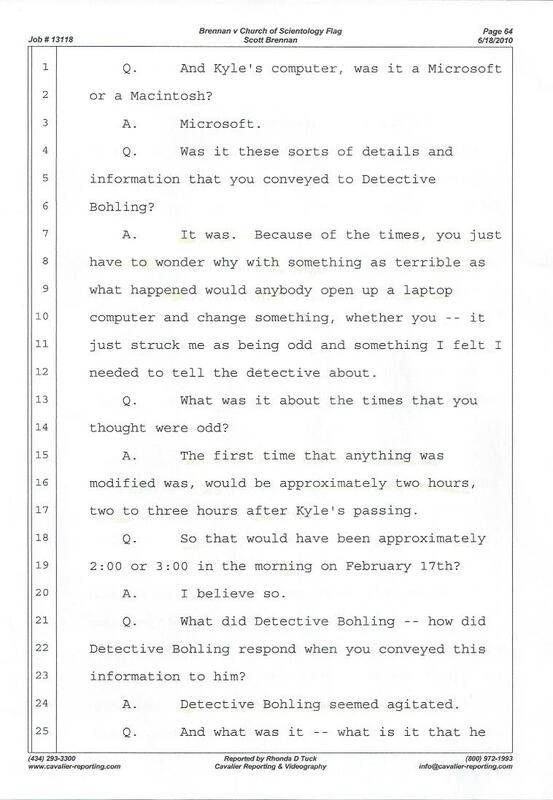 On October 24, 2007, at 14:30 hours, Detective Bohling took custody of Kyle’s computer from the FDLE Evidence Section. 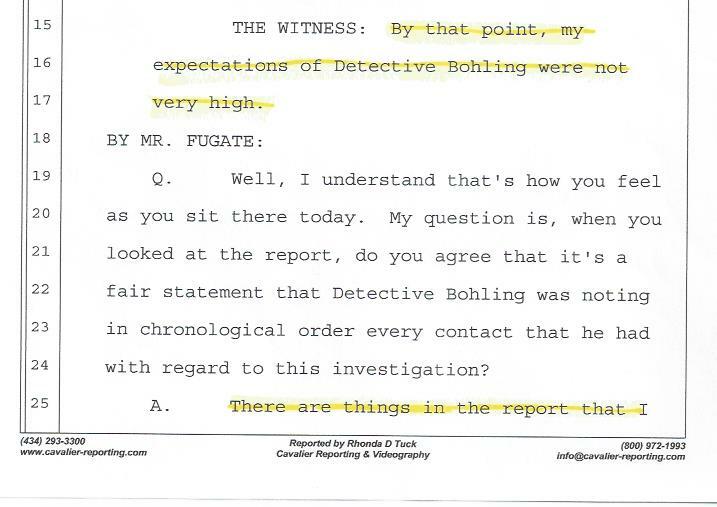 On July 13, 2008—over eight months after taking possession of the computer, and almost one and half years after Kyle’s death—Detective Bohling conducted the first interview with Gerald Gentile. By this time the Scientologists have had ample opportunity to speak with—and strategize with—their Scientology-hired lawyers. 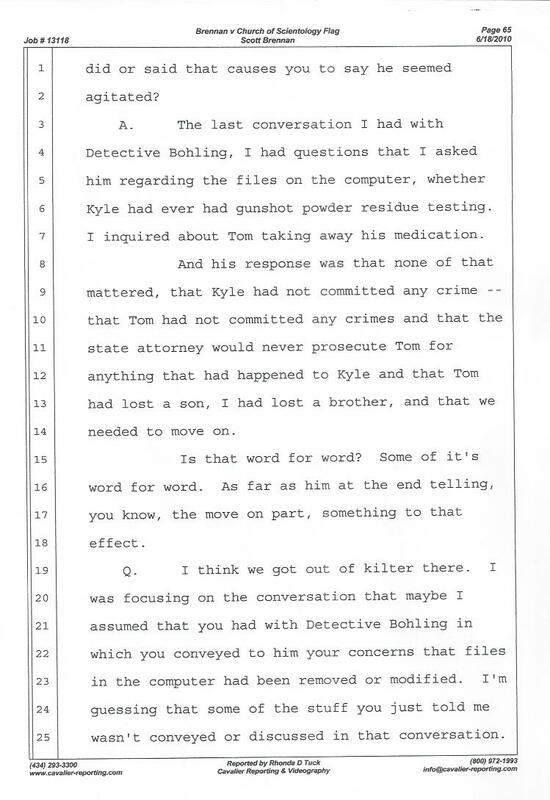 In the police interview, Gentile stated that he didn’t really know Tom Brennan, Kyle’s father, all that well. Gentile described Tom Brennan as an acquaintance, someone who’d come over to his home once for Thanksgiving—to bake a pie—and once for Christmas. Gentile claimed he’d never really had a conversation with Tom Brennan. He said he knew Brennan through his wife, and that “[Brennan] works as a handyman for a couple of my rental properties that I own in Pinellas County.” Gentile further stated that he’d never heard of Kyle before his death—he said he didn’t even know Brennan had a son. 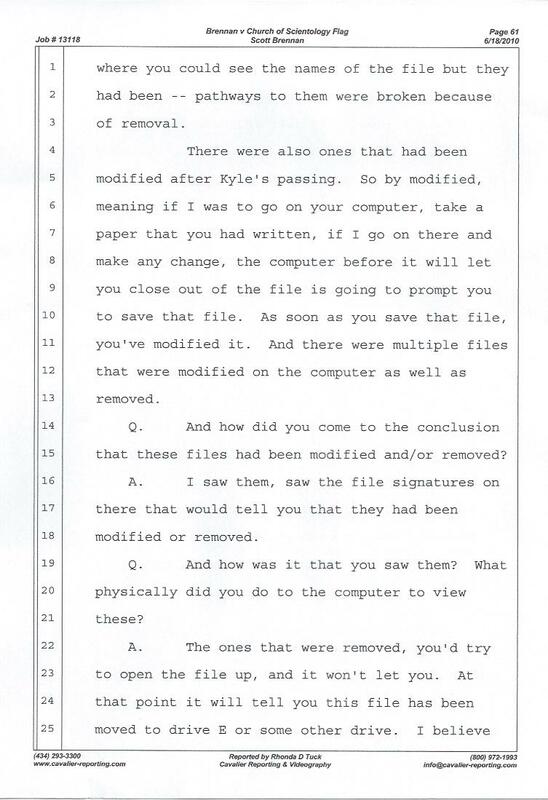 During the interview, too, Gentile told Bohling matter-of-factly that he had hard copies “of everything that was on [Kyle’s] computer,” everything including bank statements, photos, and personal notes. Why did Gentile have a folder containing personal and sensitive information belonging to a dead boy that he did not even know? 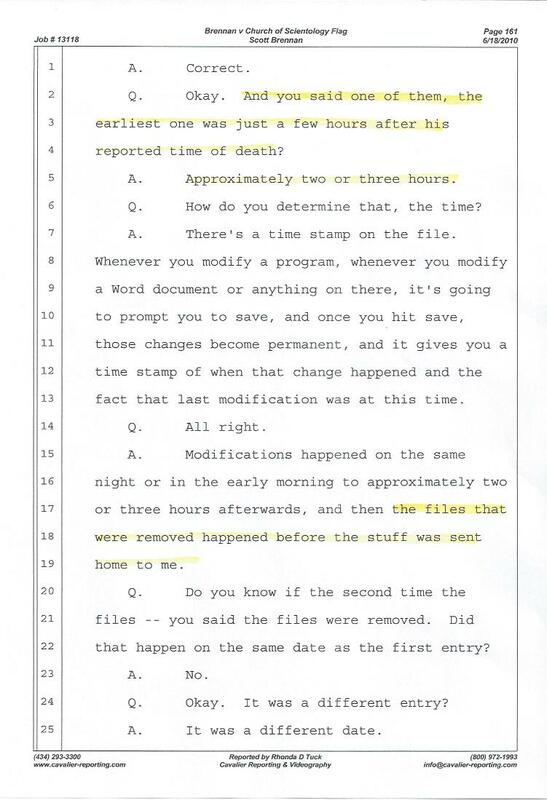 Why had he saved—for a year and a half—print-outs from computer files belonging to the son of a mere acquaintance? What would compel him to save this information? What follows next is very illuminating. 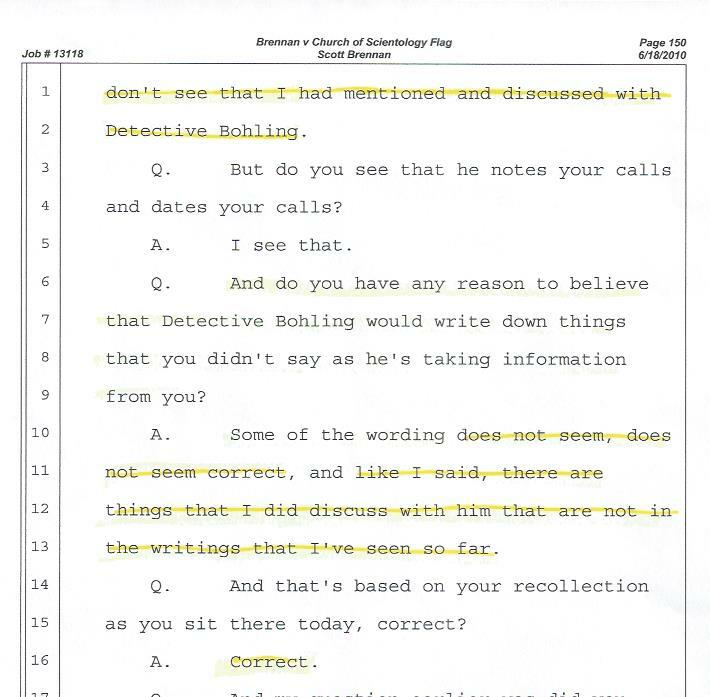 Detective Bohling—instead of questioning Gentile about the oddity of having in his possession some of Kyle’s personal effects—asked Gentile politely if he would mind if he, Bohling, made copies. Bohling said he might need these copies later. Who had the upper hand in this interview? 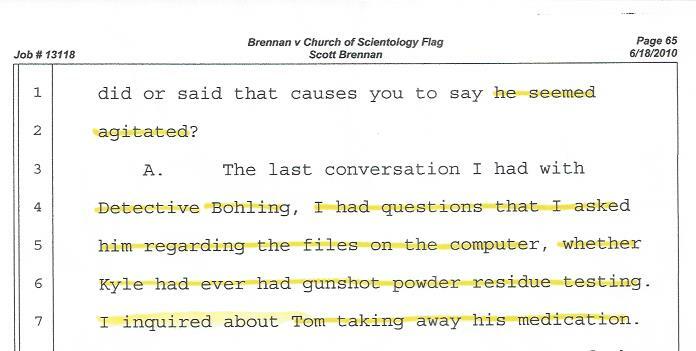 Who was in control, the Scientologist in possession of personal items belonging to a dead boy he’d never met—the son of someone who was merely an acquaintance—or the groveling police detective who had to ask permission to make copies of files that should have been in his possession from the get go? 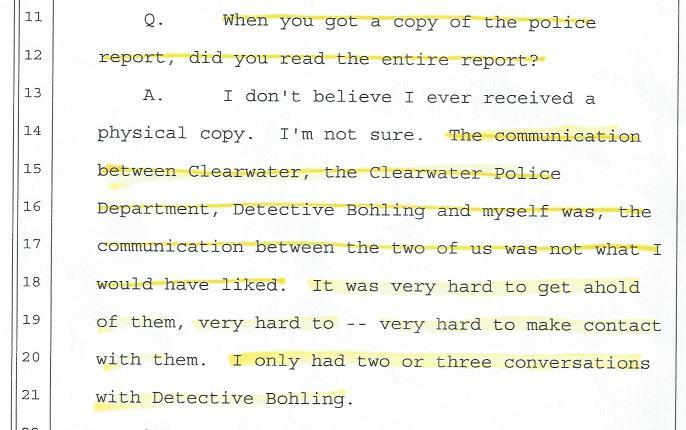 Clearwater Police Report Narrative written by Detective Stephen Bohling. Gerald Gentile’s July 2008, interview. Gerald Gentile describes his relationship with Brennan. Detective Bohling guiding Gerald Gentile-lining up the lies! In March of 2007, Kyle’s brother Scott contacted the Clearwater Police Department to talk with Detective Stephen Bohling. Three weeks had passed since Kyle’s death and his family in Virginia had yet to receive a single phone call from the Clearwater Police Department. In this darkest of times—while we were in the throes of grief—we were completely baffled by this unprofessionalism on the part of the Clearwater police. Didn’t they have questions? 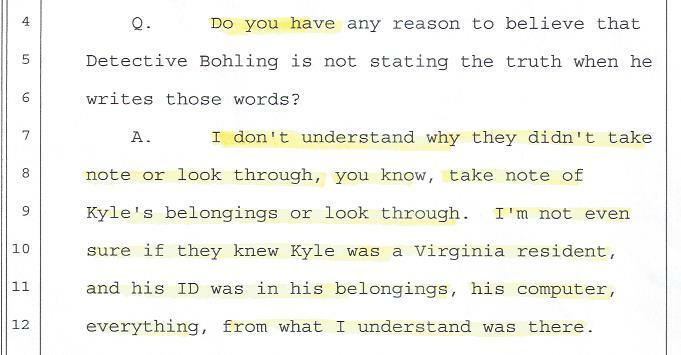 Weren’t they interested in information about Kyle that only his family in Virginia could provide? That first telephone conversation between Virginia and Clearwater, Florida, was certainly an eye-opener. Scott’s impression of Detective Bohling—to put it mildly—was decidedly unfavorable. Scott, said Bohling, was arrogant and extremely rude. 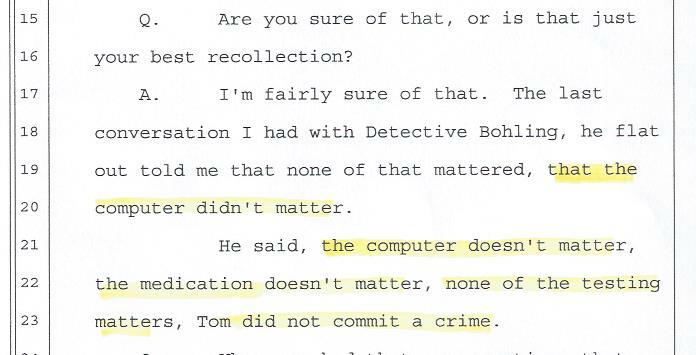 When Scott told the detective that Kyle’s computer was tampered with in the early morning hours after his death, for example, Bohling responded that he “didn’t care,” it wouldn’t change a thing. In late February, when Kyle’s possessions—and his computer—were mailed back to Virginia they were sent to Scott’s apartment, not to Kyle’s home. This is how Scott came to be in possession of Kyle’s computer. 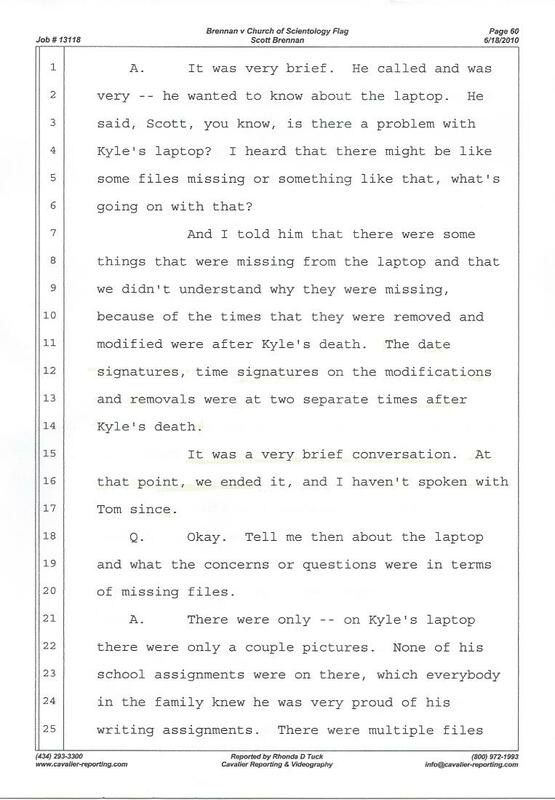 During the first meeting between Luke Lirot—the attorney representing Kyle’s family—and Bohling, the detective requested that we send him the computer. The unprofessionalism of the Clearwater police, their lack of respect, and their unprofessional behavior had already made them well-nigh impossible to trust. 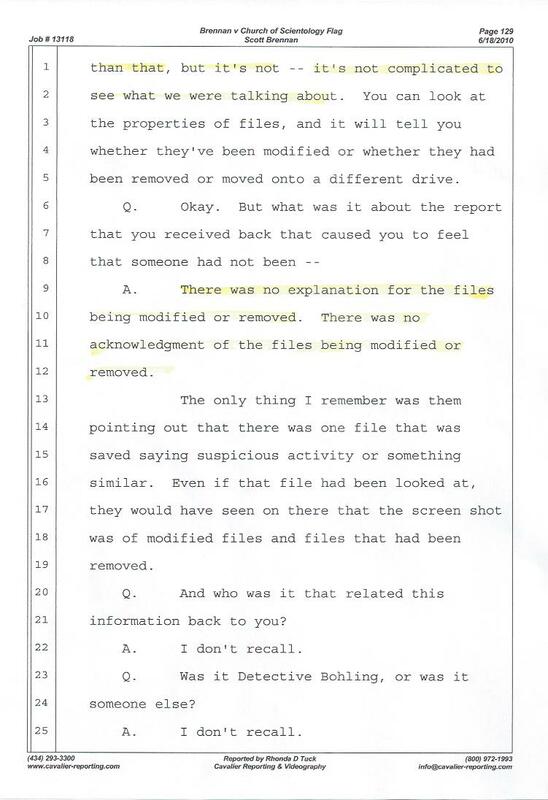 Because of this point of view, we thought the computer should be forwarded to the FBI for analysis, not the Florida Department of Law Enforcement (the FDLE). 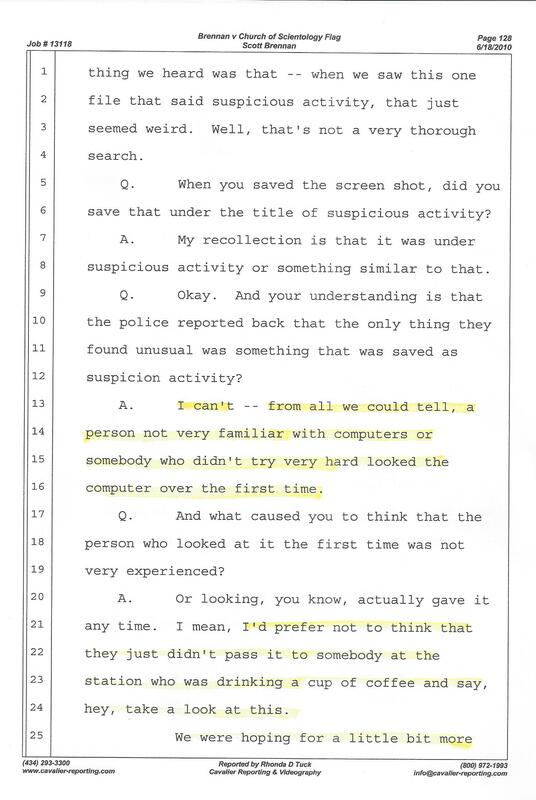 With great hesitation, therefore, Kyle’s computer was sent back to Clearwater almost six months after the detective requested it. 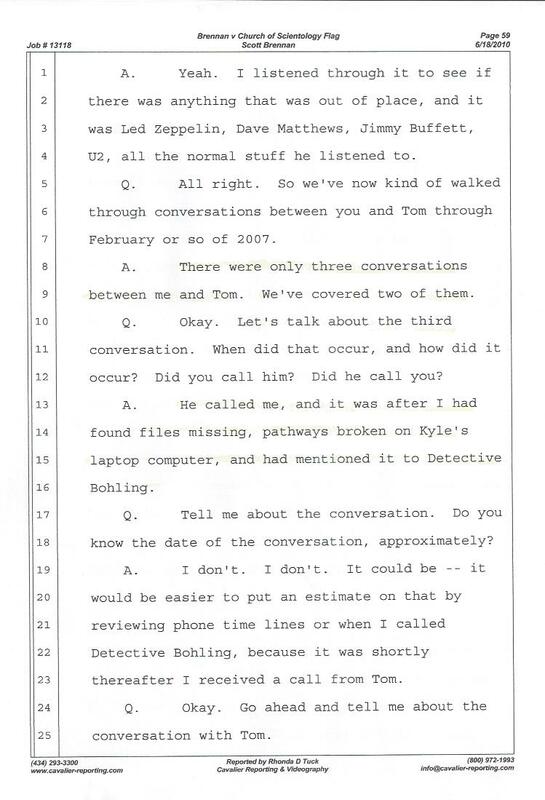 Thinking that the computer was with the FBI in Tampa I contacted them and asked that they please check that Detective Bohling had indeed brought it over. The Tampa-based FBI agent that I spoke with asked for background information. When he heard about the situation, heard about the family’s experience with Bohling and his investigation, he exclaimed that one should always trust their instincts. He said that what the police detective had been telling my family didn’t add up. He also said that he’d personally check on the status of Kyle’s computer, but unfortunately, I never heard back from him. 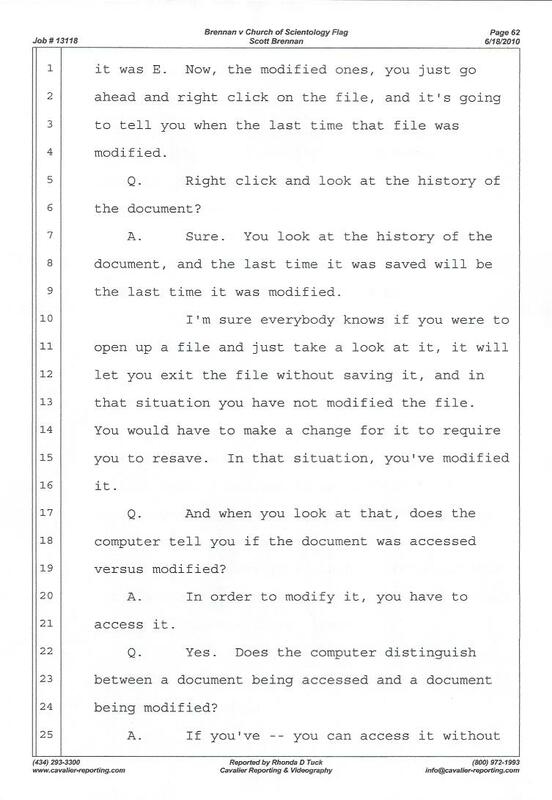 We would learn at a later date that the computer had not been sent to the FBI for analysis but to the FDLE. A copy of this information was sent to the FBI and the Office of Bernie McCabe, State Attorney for the Sixth Judicial Circuit.